We offer a comprehensive selection of the finest components and systems for your most demanding applications. G-motion motor options range from built-in inverters to brakes, encoders and blowers.A modern modular range of geared motors offering compact dimensions, high torques and fast delivery. G-motion motor options range from built-in inverters to brakes, encoders and blowers. 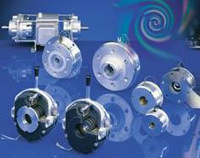 The consistent modular design and sharing of components results in an unparalleled range of motor and gearbox options. The modular design means that most requirements can be built from stock parts. What used to be special can now be delivered in a few days. G-motion is designed for a 16000 hour maintenance-free life. Special food and organic lubricants are possible. Advances in design and materials result in gearboxes that are compact, easy to fit in, and with exceptionally low noise levels. One integrated range of frequency inverters to satisfy all needs from 0.25 to 400kW. From simple speed control to high performance with fieldbus communications, CIMTEC offers the inverter you need with a complete support system of operating software, documentation, accessories, training, technical advice and commissioning. Whether you want to speed up or slow down masses in motion within a short period or your production process has to be carried out in cycles, we provide the right solution. If operating and/or holding brakes are required, the solution is spring-operated brakes which function in accordance with the fail-safe principle. The braking torque is applied wwith power off, quick assembly is provided by the pre-set air gap and the low-wear CAS-CUS (UL) version is standard. 11.213.25.911 (33.576888) VARIABLE SPEED PULLEY ASSY. 76.001515 BRAKE KIT, 15LB-FT, 4.5 AK, D=7/8"
80.061500-0012 GST06-1N-VBR-5E IN-LINE MOUNTING POSITION "A"
80.041200-0059 LENZE GEARBOX FOR MOTOR * BOX = 8" LONG BY 5" WIDE. 80.041200-0060 GST04-1MVBR-071-12 5.667:1 RATIO, MOUNTING POSIT. 80.041200-0061 GST04-1MVBR-071-12 5.667:1 RATIO, MOUNTING POSIT. 80.041300.0008 GST04INVBR-5C RATIO: 2.857; OUTPUT SHAFT = 5/8"
80.042200-0108 GST04-2MVBR-071-12 19.36:1 RATIO, MOUNTING POSIT. 80.042200-0109 GST04-2MVBR-071-12 19.36:1 RATIO, MOUNTING POSIT. 81.063200-0001 291:1 RATIO, E5 MTG. POS. 82.042300-0244 GSS04-2NHAR-5C GEARBOX 27.125:1, NO FLANGE, POS. "A"
82.052400-0044 GSS05-2NHAR 7.733:1,MOUNTING C, SHAFT POSITION 3/5, 1.25"
82.052400-0046 GSS05-2NHAR 9.042:1, MOUNTING C, SHAFT POSTION, 3/5, 1.25"
GFL062NVBR-5G RATIO 3.675:1,1 5/8 OUPUT MUST FILLOUT FORM FOR MTNG. GFL07-2N-VAR-5G OFF SET GEAR BOX, W/NEMA 10, HP, 215TC, 1 7/8"
GKS07-3NVAR5G 81.073700-04 HELICAL BEVEL, RATIO 25.244:1, MOUNTING POS. GSS04-2MHAR 071C32 0.37KW, 250RPM N2 @ 50HZ,* COVER ON SIDE 3, MOUNT POS. GSS04-2N-HAR5C HELICAL WORM GEAR REDUCER W/ REGISTER. GSS04-2NVBR5C-99.167-1 2 STAGE, SOLID RATIO, 1 HP RATED GEARBOX. GSS052NHAR1C RATIO:61.25:1, BORE: 300MM ID, NO PAINT. PNMPS-34-10-H344-H-0802 GEARHEAD, ITEM # 52-351260 10:1 RATIO "EXtrA GREASE PACK"